Action Squad Studios revealed the first Pre-Alpha gameplay footage for Iron Danger, their upcoming turn-based tactical RPG due next year on PC, PlayStation 4 and Xbox One. If you’re a PC gamer you can already wishlist the game on Steam. This build is also playable at Gamescom, in case you’re attending the convention next week in Cologne. 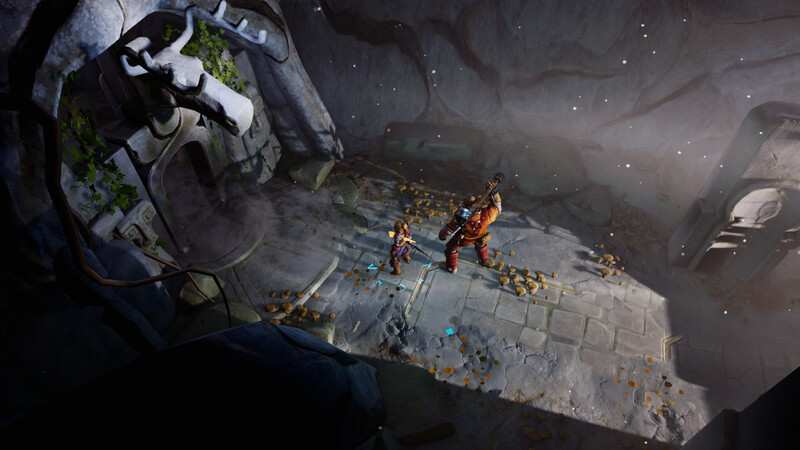 Iron Danger is a story-driven, turn-based, tactical RPG with simultaneous turns and time manipulation mechanics. A never before seen combination, which brings new level of depth into tactical combat. It is a streamlined, action-packed single-player game in which repetitive grinding is kept to a minimum and every moment advances the story. In this fresh fantasy world of warrior shamans and machine fumes, you take on the role of Kipuna, a simple village girl, who becomes imbued with a cosmic power that grants dominion over time and death. The player controls Kipuna and one of two individual companion characters in tactically challenging battles against a variety of different threats. At center stage in combat is the unique time shifting mechanic that represents Kipuna’s magical influence over the flow of time. It gives the player the ability to rewind at any point with fraction-of-a-second precision, pinpointing strikes to enemies’ unguarded moments, deflecting and dodging attacks exactly when they happen, synchronizing magical and physical attacks to overwhelm difficult enemies, and overcoming impossible odds through trial and error. No grinding. Character development is tied to actions that player characters will take.